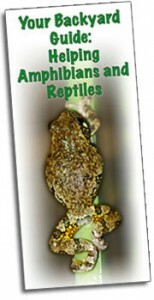 NEPARC has created an educational brochure, Your Backyard Guide to Helping Amphibians and Reptiles, to provide homeowners with information on how to make their backyard a better habitat for wildlife. Backyard Brochure – This brochure is free. Other organizations are encouraged to distribute it to their membership and/or visiting public.